Relatively little attention has been paid to the relentless hostility toward the Catholics of our 13 English colonies in the period that preceded the American Revolution. Instead, historians have tended to concentrate only on the story of the expansion of the tiny Catholic community of 1785, which possessed no Bishop and hardly 25 priests, into the mighty organization we see today that spreads its branches from the Atlantic to the Pacific. To show this progress of Catholicism is good and legitimate. But to avoid presenting the persecution the Church suffered in the pre-Revolution colonial period is to offer an incomplete or partial history. It ignores the early story of our Catholic ancestors. It would be like describing the History of the Church only after the Edict of Milan, when the Church emerged from the Catacombs, pretending there had never been a glorious but terrible period of martyrdom. It should not be surprising that this cloud of general omission concerning Catholicism in the colonial period (1600-1775) should have settled over the Catholic milieu given the optimistic accounts written by such notable Catholic historians as John Gilmary Shea, Thomas Maynard, Theodore Roemer, and Thomas McAvoy. (1) These historians, whose works provided the foundation for Catholic school history books up until recently (when a different kind of revisionist history is replacing them), only briefly acknowledge and downplay a period of repression and persecution of Catholics. What they have stressed is what might be called the "positive" stage of Catholic colonial history that begins in the period of the American Revolution. This period has been glossed with an unrealistic interpretation that freedom of religion was unequivocally established and the bitter, deeply-entrenched anti-Catholicism miraculously dissolved in the new atmosphere of tolerance and liberty for all. This in fact did not happen. Here I propose to dispel this myth that America was from its very beginning a country that championed freedom of religion. In fact, in the colonial period, a virulent anti-Catholicism reigned and the general hounding and harrying of Catholics was supported by legislation limiting their rights and freedom. First, both before and especially after the American Revolution, a general spirit of tolerance to a Protestant culture and way of life was made by some Catholics in order to be accepted in society. Such accommodation, I would contend, has continued into our days. Second, to enter the realm of politics and avoid suspicions of being monarchists or "papists," colonial American Catholics were prepared to accept the revolutionary idea of the separation of Church and State as a great good not only for this country, but for Catholic Europe as well. Both civil and religious authorities in America openly proclaimed the need to abandon supposedly archaic and "medieval positions" in face of new conditions and democratic politics. For these reasons, some hundred years after the American Revolution, Pope Leo XIII addressed his famous letter Testem benevolentiae (January 22, 1889) to Cardinal Gibbons, accusing and condemning the general complacence with Protestantism and the adoption of naturalist premises by Catholics in the United States. He titled this censurable attitude Americanism. Americanism, therefore, is essentially a precursory religious experience of bad Ecumenism made in our country, while at the same time Modernism was growing in Europe with analogous tendencies and ideas. The partial presentation of colonial American history by so many authors helps to sustain that erroneous ecumenical spirit. I hope that showing the historic hatred that Protestantism had for Catholicism can serve to help snuff out this Americanist - that is, liberal or modernist - behavior among Catholics of our country. After several pages dedicated to Lord Baltimore's Catholic colony in Maryland, Catholic history books have tended to begin Catholic history in the United States with that critical year for both the nation and Catholicism - 1789. For 1789 marked both the formation of the new government under the Constitution and the establishment of an organizational structure for the American Catholic Church. The former event came with the inauguration of George Washington in April, the latter with the papal appointment of His Excellency John Carroll as the first Bishop of Baltimore in November. The history of the Catholic Church in America, however, has much deeper and less triumphant roots. Most American Catholics are aware that the spirit of New England's North American settlements was hostile to Catholicism. But few are aware of the vigor and persistence with which that spirit was cultivated throughout the entire colonial period. Few Catholics realize that in all but three of the 13 original colonies, Catholics were the subject of penal measures of one kind or another during the colonial period. In most cases, the Catholic Church had been proscribed at an early date, as in Virginia where the act of 1642 proscribing Catholics and their priests set the tone for the remainder of the colonial period. Even in the supposedly tolerant Maryland, the tables had turned against Catholics by the 1700s. By this time the penal code against Catholics included test oaths administered to keep Catholics out of office, legislation that barred Catholics from entering certain professions (such as Law), and measures had been enacted to make them incapable of inheriting or purchasing land. By 1718 the ballot had been denied to Catholics in Maryland, following the example of the other colonies, and parents could even be fined for sending children abroad to be educated as Catholics. The civilization and culture which laid the foundations of the American colonies was English and Protestant. England's continuing 16th and 17th-century religious revolution is therefore central to an understanding of religious aspects of American colonization. Early explorers were sent out toward the end of the 15th century by a Catholic king, Henry VII, but actual settlement was delayed, and only in 1607, under James I, were permanent roots put down at Jamestown, Virginia. By then, the separation of the so-called Anglican church from Rome was an accomplished fact. 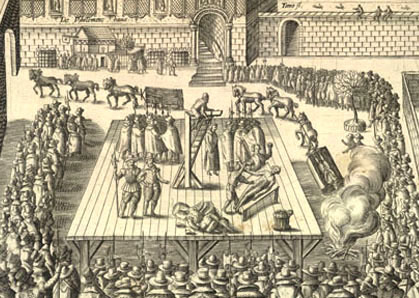 The supposed Catholic conspirators plotting to blow up the English Houses of Parliaments were publicly executed. Later, Jesuits were rounded up and killed also. Rapid anti-Catholicism in England had been flamed by works like John Foxe's Book of Martyrs illustrating some of the nearly 300 Protestants who were burned between 1555 and 1558 under Queen Mary I. The tradition was intensified by tales of the 1605 Gunpowder Plot, when a group of Catholics would have supposedly planned to blow up King James but for the scheme's opportune discovery and failure. To these factors should be added the role of the Puritan sect. Its relationship with Catholics in colonial America represented the apotheosis of Protestant prejudice against Catholicism. Even though the so-called Anglican church had replaced the Church of Rome, for many Puritans that Elizabethan church still remained too tainted with Romish practices and beliefs. For various reasons, those Puritans left their homeland to found new colonies in North America. A major Puritan exodus to New England began in 1630, and within a decade close to 20,000 men and women had migrated to settlements in Massachusetts and Connecticut. (7) They were principal contributors to a virulent hatred of Catholicism in the American colonies. To have an idea of how this prejudice against Roman Catholics was impressed even among the young, consider these "John Rogers Verses" from the New England Primer: "Abhor that arrant whore of Rome and all her blasphemies; Drink not of her cursed cup; Obey not her decrees." 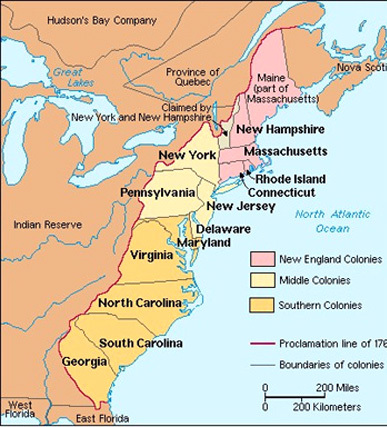 This age of penal restriction against Catholics in the colonies lasted until after the American Revolution. Someone recalling a lesson from his Catholic history classes might pose the objection: But what about the exceptions to this rule, that is, the three colonial states of Maryland, New York, and Pennsylvania, where tolerance for Catholics existed in the colonial period? Once again, this impression comes from a very optimistic and liberal writing of History rather than the concrete reality. 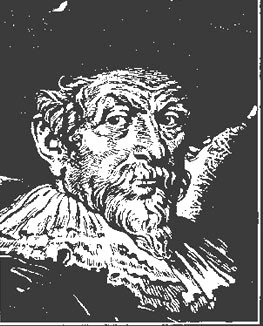 The "Maryland Experiment" began when Charles I issued a generous charter to a prominent Catholic convert from Anglicanism, Lord Cecil Calvert, for the American colony of Maryland. In the new colony, religious tolerance for all so-called Christians was preserved by Calvert until 1654. In that year, Puritans from Virginia succeeded in overthrowing Calvert's rule, although Calvert regained control four years later. The last major political uprising took place in 1689, when the "Glorious Revolution" of William and Mary ignited a new anti-Catholic revolt in Maryland, and the rule of the next Lord Baltimore, Charles Calvert, was overthrown. Therefore, in 1692 Maryland's famous Religious Toleration Act officially ended, and the Maryland Assembly established the so-called Church of England as the official State religion supported by tax levies. Restrictions were imposed on Catholics for public worship, and priests could be prosecuted for saying Mass. Although Catholics generally maintained their social status, they were denied the right to vote or otherwise participate in the government of the colony their ancestors had founded. (12) This barebones history is the real story of the famous religious liberty of colonial Maryland. More recent works have provided a much more coherent analysis of the psychology behind the religious toleration that Calvert granted. That is, Calvert was only following a long-standing trend of English Catholics, who tended to ask only for freedom to worship privately as they pleased and to be as inoffensive to Protestants as possible. A directive of the first Lord Proprietor in 1633 stipulated, for example, that Catholics should "suffer no scandal nor offence" to be given any of the Protestants, that they practice all acts of the Roman Catholic Religion as privately as possible, and that they remain silent during public discourses about Religion. (15) In fact, in the early years of the Maryland colony the only prosecutions for religious offenses involved Catholics who had interfered with Protestants concerning their religion. As a pragmatic realist, Calvert understood that he had to be tolerant about religion in order for his colony, which was never Catholic in its majority, to be successful. It was this conciliatory and compromising attitude the Calverts transplanted to colonial Maryland in the New World. Further, the Calverts put into practice that separation of Church and State about which other English Catholics had only theorized. Neither the Dutch nor English were pleased when the Duke of York converted to Roman Catholicism in 1672. His appointment of Irish-born Catholic Colonel Thomas Dongan as governor of the colony of New York was followed by the passage of a charter of liberties and privileges for Catholics. But the two-edged sword of Dutch/ English prejudice against the "Romanists" would soon re-emerge from the scabbard in which it had briefly rested. Jacob Leisler fanned anti-Rome fears to take power in New York and then issued arrests for all "papists"
The myth of religious toleration of Catholics in New York relies concretely, therefore, on that brief 16-year period from 1672 to 1688 when a Catholic was governor of the colony. Due to the broad tolerance that informed William Penn's Quaker settlements, the story of Catholics in Pennsylvania is the most positive of any of the original 13 colonies. 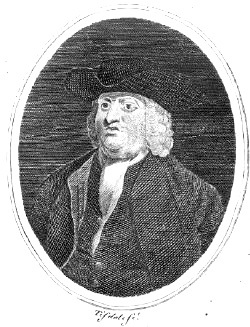 William Penn's stance on religious toleration provided a measured freedom to Catholics in Pennsylvania. The 1701 framework of government, under which Pennsylvania would be governed until the Revolution, included a declaration of liberty of conscience to all who believed in God. Yet a contradiction between Penn's advocacy of liberty of conscience and his growing concern about the growth of one religion - Roman Catholicism - eventually bore sad fruit. This phase of strong, blatant persecution of Catholicism came to a close during the revolutionary era (1763-1820). For various reasons, the outbreak of hostilities and the winning of independence forced Protestant Americans to at least officially temper their hostility toward Catholicism. With the relaxation of penal measures against them, Catholics breathed a great sigh of relief, a normal and legitimate reaction. However, instead of maintaining a Catholic behavior consistent with the purity of their Holy Faith, many of them adopted a practical way of life that effectively ignored or downplayed the points of Catholic doctrine which Protestantism attacked. They also closed their eyes to the evil of the Protestant heresy and its mentality. Such an attitude is explained by the natural desire to achieve social and economic success; it is, nonetheless a shameless attitude with regard to the glory of God and the doctrine that the Catholic Church is the only true religion. As this liberal Catholic attitude continued and intensified, it generated a kind of fellowship that developed among Catholics with Protestants as such. And so, an early brand of an experimental bad Ecumenism was established, where the doctrinal opposition between the two religions was undervalued and the emotional satisfaction of being accepted as Catholics in a predominantly Protestant society was overestimated. These psychological factors help to explain the first phase of the establishment among our Catholics ancestors of that heresy which Pope Leo XIII called Americanism. 1. Theodore Maynard, The Story of American Catholicism, 2 vol. (NY: 1941); Theodore Roemer, The Catholic Church in the United States, (St. Louis, London: 1950); John Gilmary Shea, The History of the Catholic Church in the United States, 4 vol. (New York, 1886-1892). 2. Thomas T. McAvoy, A History of the Catholic Church in the United States, (Notre Dame, London, 1969), 50-1. 4. James Hennesey, S.J., American Catholics: A History of the Roman Catholic Community in the United States, (New York, Oxford: 1981), 36-7. 5. Peter Mancall, Envisoning America: English Plans for the Colonization of North America 1580-1640, (Boston/New York: 1995), 8-11. 6. "The Ideology of English Colonization: From Ireland to America" in Colonial America, Essays in Politics and Social Development, eds. Stanley N. Katz and John M. Murrin, (New York: 1983), 47-68. 7. Jay P. Dolan, The American Catholic Experience: A History from Colonial Times to the Present, (New York: 1985), 70-1. 8. A useful collection of quotations and sources was gathered by Sister Mary Augustina Ray in her 1936 work, American Opinion of Roman Catholicism in the Eighteenth Century (New York: 1936). 10. 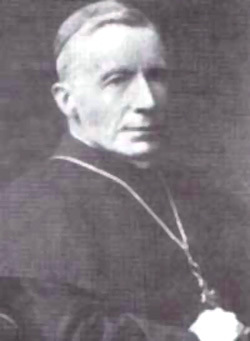 Francis Curran, S.J., Catholics in Colonial Law, (Chicago: 1963), 54. 11. Patrick Conley and Matthew J. Smith, Catholicism in Rhode Island, the Formative Era, (Providence: 1976), 7-9. 12. Ellis, Catholics in Colonial America, 315-359. 13. Alfred Pearce Dennis, "Lord Baltimore's Struggle with the Jesuits, 1634-1649" in Annual Report of the American Historical Association, 1900, 2 vols., (Washington: 1901), I, 112; C. E. Smith, Religion Under the Barons Baltimore, (Baltimore: 1899). 14, Kenneth Campbell, The Intellectual Struggle of the English Papists in the Seventeenth Century: The Catholic Dilemma, (Lewiston, Queenston, 1986). 19. Sally Schwartz, "A Mixed Multitude": The Struggle for Toleration in Colonial Pennsylvania, (New York, London: 1987), 17-19, 31-34; Joseph J. Kelley, Jr., Pennsylvania: The Colonial Years 1681-1776, (Garden City, New York: 1980), 15-16. 20. Ellis, Catholics in Colonial America, 370-80. 21. Joseph L. J. Kirlin, Catholicity in Philadelphia, (Philadelphia, 1909), 18. 22. Thomas Hughes, The History of the Society of Jesus in North America: Colonial and Federal, Vol. 1, (London, New York, Bombay, and Calcutta: 1907, 2nd ed. 1970).